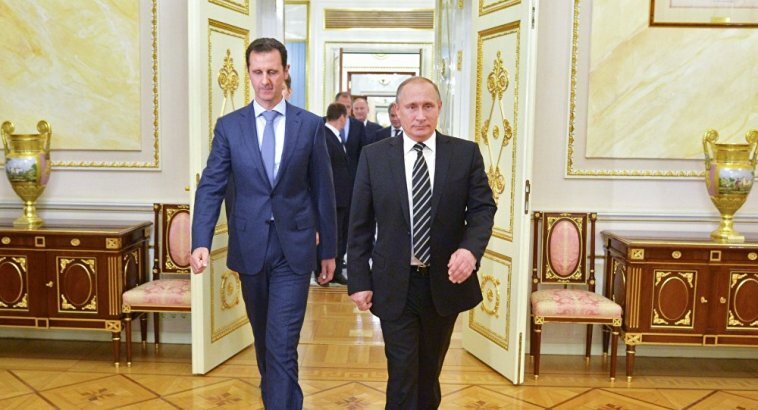 The end of the Syrian war is the beginning of a new Middle Eastern order. Russia’s 2015 intervention in Syria, at the invitation of the legitimate government in Damascus, disrupted sinister western plans to overthrow Assad. With Russia and Iran involved in the Syrian conflict, the defeat of ISIS and consolidation of Assad’s legitimate rule was inevitable. Now as the Syrian war draws to a close, the start of a new Middle East order is taking form. With the liberation of Abu Kamal on the Iraqi border, the last Syrian town controlled by ISIS, the Syrian Arab Army (SAA) and its allies have completed the task of eliminating the Caliphate and its control over Syrian cities. ISIS returns to its original dimensions of being a terrorist organization without control of any territory or a city-state proclaimed as its capital. These are important days, with political conferences about the future of the region and Syria itself occurring from Sochi to Cairo and passing through Riyadh. In Sochi, Assad met with Putin to confirm the alliance as well as Moscow’s loyalty to the Syrian State, and to also focus on a political solution. The Russian and Syrian presidents agreed on the need to involve the largest possible number of opposition groups in the reform process. In this regard, the meeting between Rouhani, Erdogan and Putin was also aimed at creating the conditions for an inclusive solution for all those who have agreed to put down arms and engage in talks with the legitimate government in Damascus. Turkey is the country that holds together the ranks of the so-called legitimate opposition, and Erdogan’s moves have confirmed that his strategy in the region is based around pivoting towards Russia through a full-fledged cooperation with Moscow. It is an almost unprecedented diplomatic victory for Russia that in two years it has managed to turn a potential opponent into one of the main guarantors of the peace process in Syria. Riyadh is in the meantime bringing together the not-so-moderate opposition groups that are very close to Islamic extremism, a sort of spin-off of Al Nusra (Al Qaeda) and Daesh, and attempting to apply on them a makeover in an effort to rebrand them. It is important to note that recent meetings between King Salman and Putin seem to have opened some sort of dialogue with a representative of Moscow present at the Riyadh conference. Firstly Erdogan, and then King Salman and his son Mohammad bin Salman (MBS), seem to have understood that a military defeat in Syria is now inevitable, and the latest developments have been related to the consequences resulting from the defeat of the terrorists. Turkey has much to gain from a convenient alliance with Moscow, both in terms of energy and transit along the East-West route of the Chinese Belt and Road Initiative (BRI), and along the North-South corridor contained within the agreement between Russia, Iran, Azerbaijan and Turkey. In light of this, Russian planes have been flying over Turkey to reach Syria. A NATO country is letting Russian military aircraft fly over its airspace to reach Syria, something that would have been impossible to imagine not too long ago. For Saudi Arabia the situation is different. While the meeting between King Salman and Putin represents an absolute novelty, the recent confirmation by MBS of his intentions to oppose the rise of Iran run counter to the possibility of pacifying the region. The result of the war in Syria has carved out a new Middle East, where the likes of Riyadh, Tel Aviv and Washington, previously regional masters of all they surveyed, appear to have more or less been deliberately cut off from the decision-making process. While it can be argued that Washington has played out its role in the region with the defeat of Daesh, thanks to Trump’s “America first” policies that resists direct involvement in conflicts, Riyadh and Tel Aviv do not seem to have any intention of accepting Tehran’s new role in the region, even as it is supported by Turkish and Russian diplomacy and even military might. The aggression against the Syrian state initially saw a compact front comprising the United States, Saudi Arabia, Turkey, Qatar, Jordan, Israel, France and the United Kingdom. All were at the forefront of arming, training, financing, assisting and treating the injured of the tens of thousands of terrorists sent to Syria. It was a destabilization operation with few precedents in history. 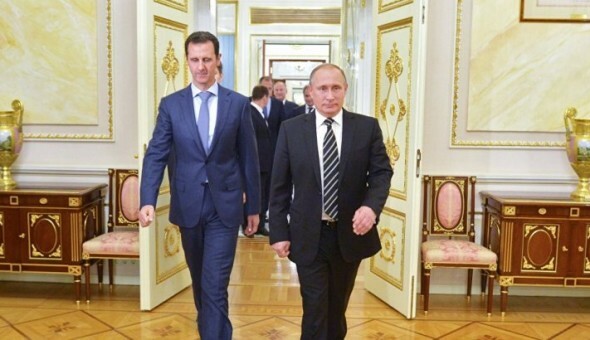 Already in 2014, at the pinnacle Daesh’s power, Assad’s position seemed firm and immovable. According to the intentions of Western terror planners, Assad was to be expelled within the first twelve months of the conflict. The drawback was the impossibility, for a number of reasons, of NATO and its allies directly intervening a la Libya, foremost among which was Syria’s possession of a good level of air defense, as well as America’s inability to deal with the human and financial costs of yet another conflict in the region, with the inevitable escalation that would follow given Iran’s involvement. After the failure to remove Assad, the next step for Western policymakers was to deploy Daesh to create chaos and destroy the country, this diabolical force having been born as a result of America’s illegal occupation of Iraq. Russia’s 2015 intervention in Syria, at the invitation of the legitimate government in Damascus, disrupted Western plans, bringing about the inevitable defeat of Daesh and consolidating Assad’s power. There are two events between the Russian intervention and the efforts to Balkanize Syria through use of the Syrian Democratic Forces (SDF) that served to confirm that the Iran-Syria-Russia axis was destined to prevail in the conflict. The first is Donald Trump becoming president of the United States. Leaving aside all the negatives related to his presidency, his victory has ensured that there is no direct intervention in Syria against Assad and against Russia. This is in contrast to what would have happened had Clinton won the election, the former Secretary of State prepared to trigger a regional conflict between the great powers by giving the order to shoot down Russian planes in Syria, thereby potentially kicking off World War Three. The other event that has upset the balance of power in the region concerns the events that have occurred in Turkey over the last two years. Both the failed coup and the downing of the Russian fighter plane played an important role. The turning point was reached with the reconquering of Aleppo, which indicated a clear military failure by the opposition to overthrow Assad. Erdogan faced an unavoidable choice: support the terrorists and have to deal with a Kurdish enclave on the Syrian border; or reach a peaceful solution with the Russian Federation in order to contain the Kurdish threat and guarantee the integrity of Syria. Erdogan has been rewarded by his choice to side with Russia and Iran, leaving Turkey in a better position than that of a couple of years ago, with him now able to influence the fate of many events in the Middle East, as well as allowing him to focus on his own national interests, in particular on the Kurds. The failure of the plan to balkanize Syria, involving the extreme attempt to declare Kurdish independence in Iraq, has only led to the end of Barzani’s reign. Hardliners committed to regime change in Damascus, such as the international coalition led by the US military and the military-industrial complex, have tried in every way possible to sabotage the SAA’s fight against Daesh along the Euphrates. Saudi Arabia had even ventured to support Kurdish movements directly within Iraq; and Israel was the only country to openly support the referendum on Kurdish independence. This strategy foundered on the opposition of Syria, Iraq, Turkey and Iran, which with Russian military support consolidated the front against the Saudi-Israeli-Neocons-Neoliberals. During this series of changes and upheavals, the anti-Assad front managed to alienate even a country like Qatar, which has explicit ties to the Muslim Brotherhood and the neoliberal part of the American establishment. Although anti-Assad propaganda continues on state media such as Al Jazeera, the concrete effects are zero. Moreover, Qatar, following the Saudi crisis, sought to broaden its geopolitical stance, engaging directly with Moscow (there have been many contacts between the Al Thani family and the Kremlin) and Iran, a historic enemy of Riyadh. The European component of the anti-Assad alliance is in complete disarray, with Macron in France conducting difficult mediation between MBS and Hariri in an attempt to avert further Saudi-Israeli political disasters that risk pushing Lebanon completely into the Iranian sphere of influence. In Germany, Merkel is experiencing a long wave of pervasive challenges between globalist versus national-sovereignty movements, with new elections looming. In England, the consequences and effects of Brexit are still tangible, with an unstable government and a series of difficult negotiations with the European Union. There no longer seems to be any time or resources available to invest in Syria. The falsification of reality continues through the mainstream media that belongs to the neoliberal world-wide elite, such as CNN, Al Jazeera, and the Washington Post. In addition to the usual lies fed through television and newspapers, Europeans and Americans today have no other tool at their disposal. Trump seems to be contented to have been able to return home from his tour of Asia having secured hundreds of billions of dollars worth of extortion from allies, while not getting embroiled in the type of endless wars that even Saudi Arabia is unable to sustain, as seen with the genocide in Yemen and actions against Qatar. The Trump administration has many flaws as well as a deep aversion towards Iran, but it has no ability or intention to support Israel and Saudi Arabia in their attempt to limit Iranian influence by force. Not even the combined military forces of Israel and Saudi Arabia could pose a threat to Hezbollah let alone the Islamic Republic of Iran. What we see is a Middle East that is trying to restore a regional order that is practical and functional. Meetings in Sochi between Turkey, Russia and Iran aim precisely to achieve this. In this scenario, Washington’s absence is notable, despite attempts from Staffan de Mistura to revive the now-dead Geneva conference. Russia and its allies, after taking the military initiative, are ready to guide the diplomatic negotiations between the Assad government and opposition forces, to be held under the auspices of the trio gathered in Sochi, with the involvement of the United Nations in a role as guarantor rather than decider. The shots are called by Assad, Putin, Erdogan and Rouhani, even though this new reality will never be accepted by MBS, Netanyahu, the European governments and the US deep state (neocon/ neoliberal). MBS’s domestic actions, together with Netanyahu’s threats to Iran and Hezbollah, reveal a refusal to acknowledge defeat as well as, in the case of MBS, an extreme attempt to avoid losing control of the country. For Israel, the problem is more complicated. Already in 2006 it was unable to defeat Hezbollah, and now Hezbollah is more developed, better trained, and better able to inflict damage on the Jewish State. Saudi and Israeli military leaders are more than aware that they do not have the ability to defeat Iran or Hezbollah and that only Washington’s direct involvement would be able to change the course of events. This hypothesis, however, must also take into account the reality on the ground, with Moscow now allied to Tehran and Trump more than opposed to any new wars involving the US. In this situation that is chaotic for anti-Assad forces, MBS continues his work of arresting anyone opposed to him and recovering money sunk into wars in the context of the collapse of the oil price. The new Middle Eastern order coincides with the near-end of the conflict in Syria and the intention to find a political solution to the conflict by pacifying all parties. It is a solution that is increasingly successful, especially in light of Turkey’s abandonment of the anti-Assad front. Moscow is slowly replacing the US as the fulcrum in the region and beyond, solving conflicts and accompanying the progressive withdrawal of US military and economic influence in the region. Once again, the strategic triangle between Iran, Russia and China finds itself victorious, inheriting and solving one of the most complicated conflicts since the end of World War II. Kudos to Putin, Rouhani and Xi Jinping, the new giants of the 21st century.